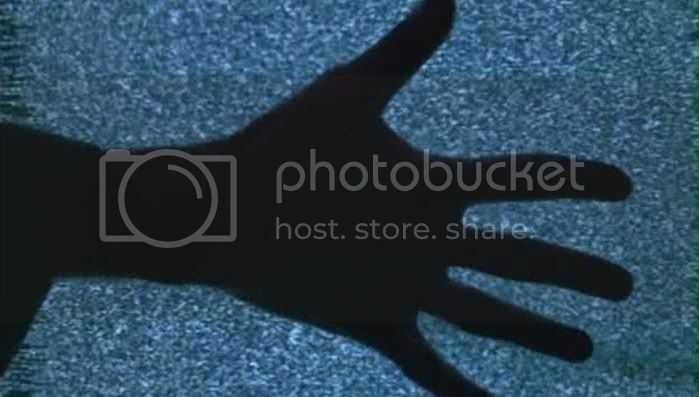 Only the Cinema: Gente del Po/N.U. Michelangelo Antonioni, like many directors who later became known for their fictional features, started his career making documentary short films. His first was Gente del Po, shot in 1943 but not finished and released until 1947, its production hampered by problems with damaged and partially destroyed negatives. Despite this troubled history, the film is a beautifully shot document of the people who live their lives along — and on — the Po river, working as farmers or living on floating barges. The film's stark black-and-white images capture the physicality of this land, of the lives that are set within this often tumultuous landscape. The voiceover, spoken by a female narrator, is generic and banal, and doesn't have much to say beyond the most prosaic descriptions of these people's lives and occupations, as farmers or barge-dwelling laborers. It's the images that tell the real story, expressing the beauty and the harshness of this land and the work that's done in it. Antonioni's visual sensibility is obviously already striking even in this first documentary. 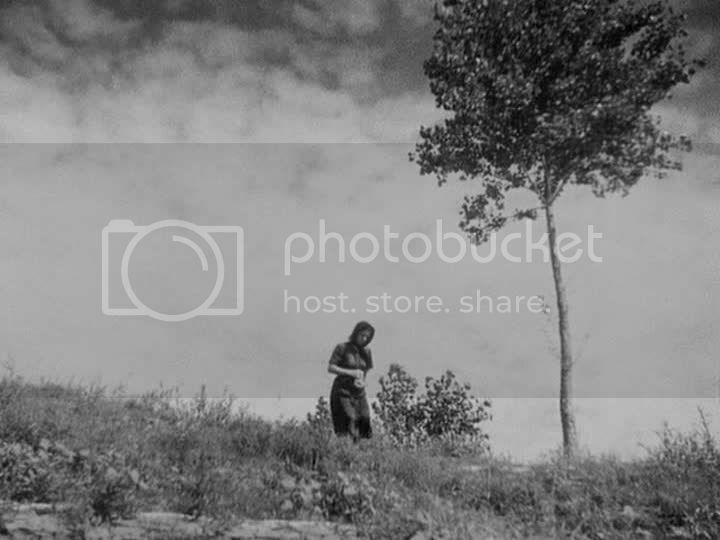 In one shot, he captures a woman walking home and frames her as a small figure against a massive, empty sky, with a tall, thin tree stretching up towards the sky above her. The shot, framed from below, looking up towards the woman and that blank gray sky, prefigures the distinctive compositions of Antonioni's later features, in which he also often framed his characters within landscapes that seem to tower over them, as expressions of their alienation and isolation. In another shot, he shows a young man going to court a girl by the riverbank, and he shoots the girl from behind, looking out at the water, only to turn around as the guy steps into the shot and sits down beside her. These little bursts of narrative suggestion belie the film's documentary construction; it's apparent that Antonioni, already possessed by the urge to tell stories and explore his characters' psychologies, was forming little narrative vignettes around the lives of these real people. As a result, Gente del Po is an interesting debut, a rough but potent first short from a director who would later explore similar themes — like the effect of environment and occupation on people — in more depth. The film is ragged, with its routine narration, generic music and the abrupt ending necessitated by Antonioni's problems with his footage, but in its brief span it points the way forward to the ideas and aesthetics of the director's subsequent career. N.U. is a more modest and simple documentary from Michelangelo Antonioni, a film about the workers of the Netezza Urbana, the department of sanitation: the street-sweepers of Rome. The film has very minimal narration, just a short blurb announcing its purpose at the very beginning of the film, describing the work of the street-sweepers and making the banal point that, though nobody pays attention to them, they are in fact integral to the city's activity. Antonioni then stages a series of quasi-documentary scenes of the street-sweepers at work. As in Gentle del Po, there is, already in this commissioned documentary work, a hint of narrative structure, a suggestion that Antonioni likes to look at the world and tell stories about what he sees. These scenes have the feel of a childlike imagination playing a game: watching ordinary people and imagining what private dramas they might be experiencing. A man and a woman, obviously a bourgeois couple of the type that Antonioni would later probe and psychoanalyze so incisively, walk down the street, arguing with each other, and as the woman walks away the man stops to angrily tear up a piece of paper and throw it on the street. As he runs to catch up to the woman, grabbing her arm and continuing their argument, a street-sweeper stoically sweeps up the shreds of paper into his shovel, dumping them into his garbage can. As the couple walk away in the background, taking their story elsewhere, a bum walks up and talks to the street-sweeper. The staging of scenes like this in no way feels like a documentary; there's no looseness in Antonioni's compositions, nothing that suggests that this is unscripted reality. He may be shooting on the streets, capturing real people at work, but already his urge to impose his own will, his own vision on these images is apparent. He was never cut out to be a true documentary filmmaker. In one shot, his camera pans towards a small wooden shed, the door of which swings open as though in the breeze precisely at the moment that the tracking shot ends; a newspaper rustles inside, and eventually it's revealed that it's not the wind producing this motion but a homeless man who had been spending the night in this shelter with blankets of paper. Such images, so obviously arranged and choreographed, wind up working against the sense of ordinary reality that the voiceover pays tribute to: this is not a straightforward document of street-cleaners and bums but a carefully arranged series of images and stories. 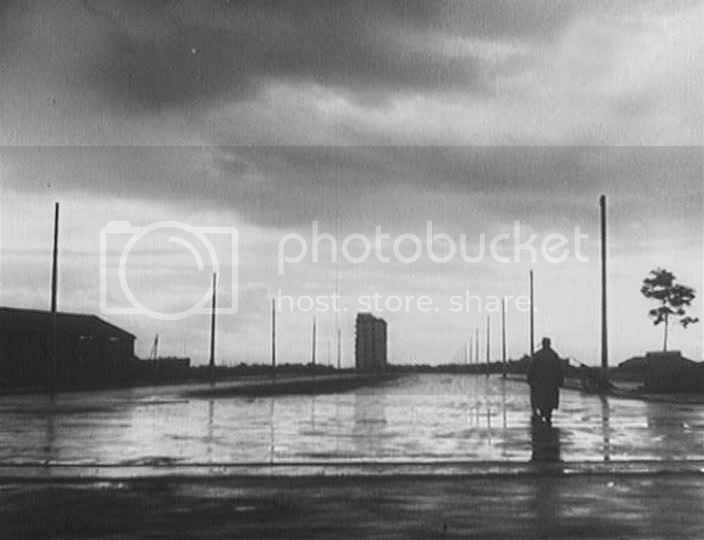 The film ends with a sweepingly romantic image of a solitary street-cleaner walking home after work, a black silhouette in the darkening evening, the city stretched out around him in a long shot that perfectly captures the urban romanticism of this image, very unlike later Antonioni but not unlike his noir-influenced feature debut Story of a Love Affair, which he would make two years later. The image also recalls Charlie Chaplin's Tramp figure, a suggestion that the romanticized homeless people and laborers of this film are derived from the example of the movies as much as from real life. Antonioni, making these small documentaries to observe the lives of ordinary people, was already crafting the foundation for the films he'd make as a mature filmmaker, already laying the groundwork for a cinema dealing with people and their surroundings, with the importance of work in modern society, and with the isolation and alienation of the individual in a society where individual lives are increasingly marginalized, like the ignored street-sweepers and bums of this short. The thing about Antonioni is that visually he's there from the get-go. A short documentary like N.U. may seem simple at first, but the seeds that would blossom into Eclipse are already present. Yeah, there are so many indications of his mature aesthetic already in what could otherwise seem to be fairly innocuous little documentaries.